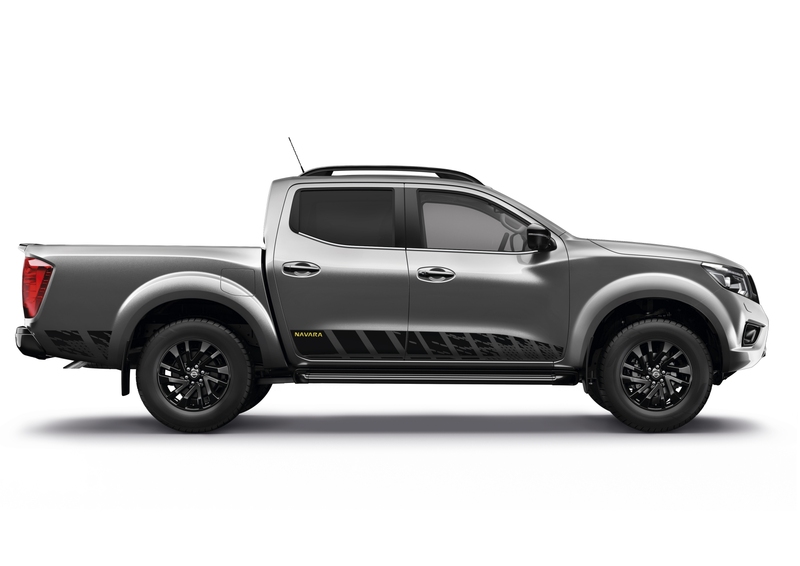 Nissan has announced that the special edition Navara N-Guard pickup will go on sale soon, building its market presence in the ever-growing small truck segment. 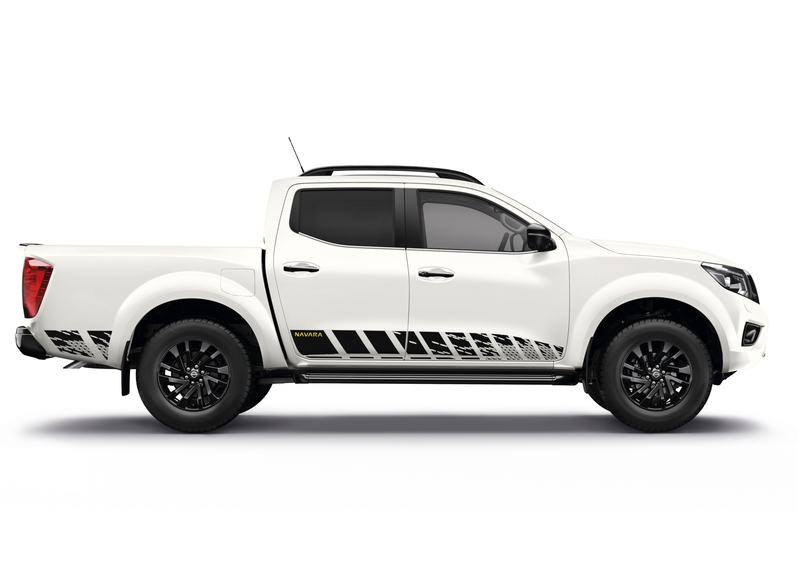 The Japanese manufacturer states that its "go-anywhere" pickup, now with the N-Guard edition, is a more desirable proposition thanks to a design upgrade and extra standard equipment. Additionally, it's been designed to cater for dual-use, both as an everyday commuter and as a recreational vehicle. The N-Guard special edition is based on the flagship Tekna variant that can be found in overseas markets. It's characterized by a dark theme and will feature numerous trims and fixtures including the front grille, fog lamp surrounds, mirror covers, door handles and rear bumper, all finished in black. It will also get matching side steps, roof rails and unique black 18-inch alloy wheels. Darkened headlamps and a sunroof with tinted glass are also part of the package. 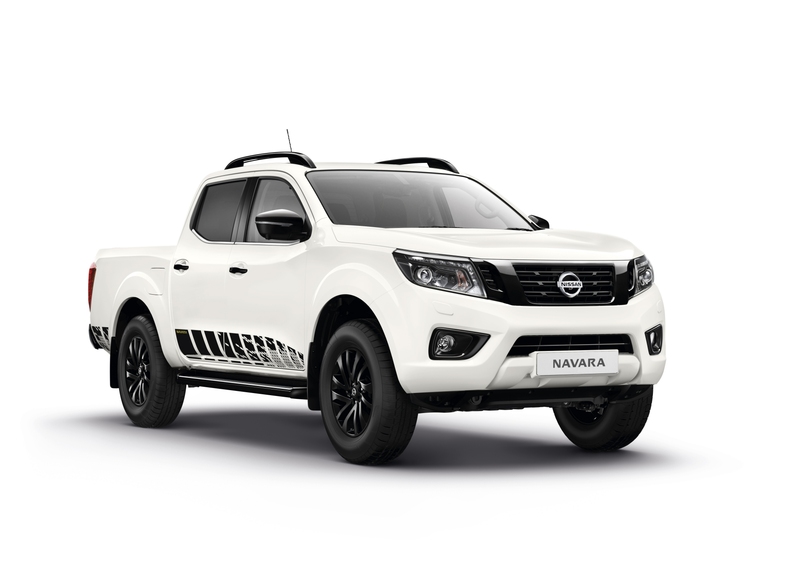 Navara N-Guard customers can choose between three exterior colors, namely Twilight Grey, Metallic Black and Storm White. Adding distinction to the overall looks are unique decals at the base of the front doors that extend all the way to the cargo box behind the rear wheel. The interior gets restyled leather and cloth seats as well. The base and back inserts have been upgraded with a new dark grey and yellow design, complemented by double stitching in yellow. This theme is replicated on the door trim and on the new signature floor mats, which feature a geometric design, matching the exterior decals. 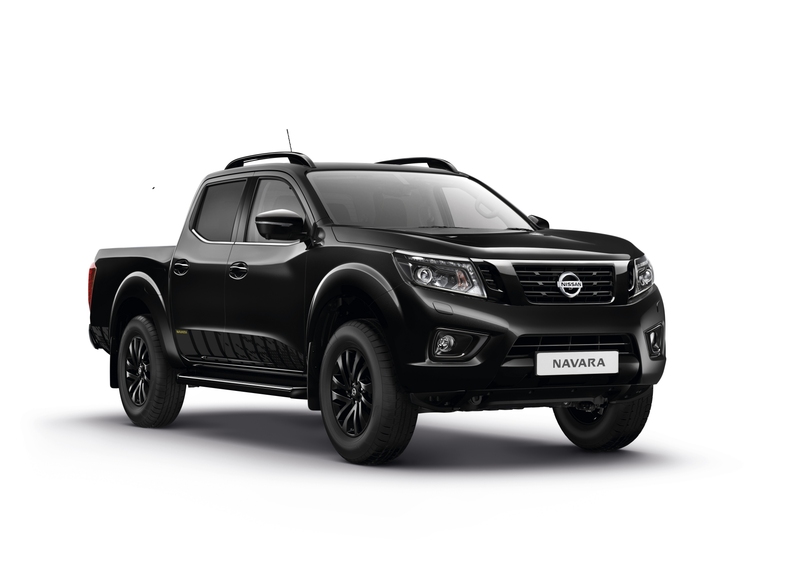 The N-Guard’s new features add to the Navara’s existing suite of technologies. Standard equipment includes Hill Start Assist, Hill Descent Control, Intelligent Emergency Braking and Intelligent Around View Monitor. Headlamp washers also come as standard. Quite surprisingly, a rear differential lock still finds its home on the options list rather than being standard. 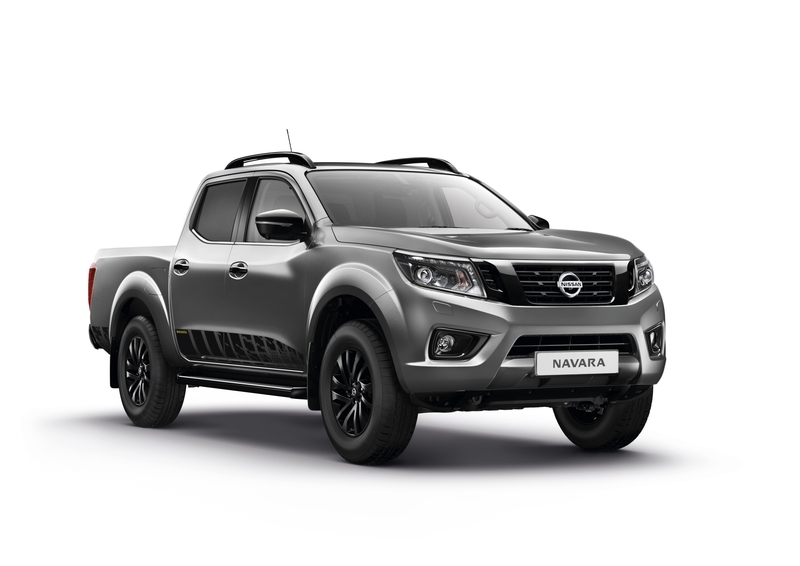 The pickup has been christened after a past Navara EnGuard concept, an all-purpose rescue vehicle first showcased at the Hannover Motor Show 2016. The production model Navara N-Guard will make its public debut at the 2018 edition of the motor show later in September. But it probably won't feature all the concept's trick extras like the portable batteries, LED roof lighting, flared wheel arches, extra-groovy off-road tires, the pop-up 20.5 inch HD display or the search-and-rescue drone. In the U.K., the Nissan Navara N-Guard will be available in Double Cab format and will come with a diesel-powered 2.3-liter four-cylinder engine that produces 187 horsepower. With the manual gearbox, it will bear a starting price of £28,075, which is roughly $36,281. The truck, when fitted with the automatic transmission, has been priced at £29,525 starting, which is approximately $38,155. Although there is always space for another pickup truck in the North American market, Nissan hasn't mentioned anything yet about the availability of the Navara N-Guard in the U.S. or Canada, so don't hold your breath on the automaker taking the fight to Ford's Ranger Raptor or Chevrolet's Colorado ZR2 anytime soon. At least, it gets The Drive's resident EMT salivating. 2019 GMC Sierra Denali: Pickups and…Carbon Fiber? Only a little bit of the new Sierra Denali is made from the advanced composite, but it's a direction we'd love to see pickup trucks go.